Can You Buy A "Perfect" Diamond? Can You Buy A “Perfect” Diamond? There are an abundance of factors that go into the overall “grade” of a diamond, which dictates its quality in the world of these highly coveted stones. 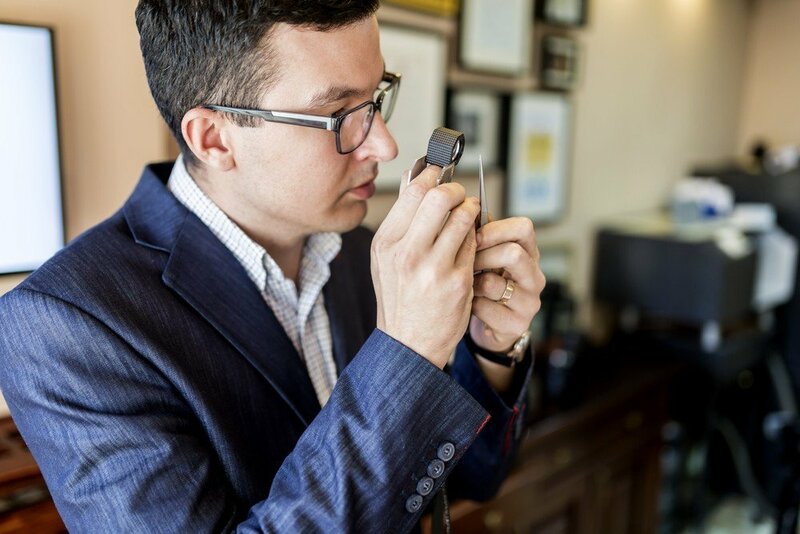 Whether one is in the market for a stunning engagement ring, a beautiful wedding band, or a dazzling gift for that special someone, a buyer always wants to understand the level of quality they’re receiving compared to what’s out there. That, combined with the fact that diamonds are so commonly lusted after in the world of jewelry, makes the prospect of a “perfect” diamond’s existence particularly interesting. That is why when, in 2013, a so-called “perfect” diamond was put up for auction, it captured the attention of many sparkle-seekers worldwide. Weighing in at a shocking 101.73 carats, this pear-shaped gem is known to be the most flawless color diamond ever to be bought and sold. This stone was showcased at the “Magnificent Jewels” auction in Geneva, Switzerland, attracting diamond lovers and inspiring awe. The head of Christie’s Auction House, Rahul Kadakia, was quoted at the time to say that the diamond had, “literally been sculpted like a work of art.” This diamond sold for a whopping $26.7 million. But what makes this diamond attain the label of “perfect”? Read about its characteristics and credentials below and learn more about the idea of buying a diamond that is a step above the rest. This diamond is rated to be a D-colored diamond, which is the most perfect rating any diamond can receive as far as the color scale goes. This means that the diamond is virtually colorless, giving it an astronomical value. Diamond colors range from ratings of D to Z, with D being “colorless”, and the closer on the scale towards Z a diamond is rated, the more hints of yellow or brown it has in its structure and appearance. The clarity of this diamond is the highest possible rating, AGS 0, which is known as “flawless or internally flawless”. Flawless diamonds, such as this one, have no inclusions or blemishes visible, even under 10x magnification. 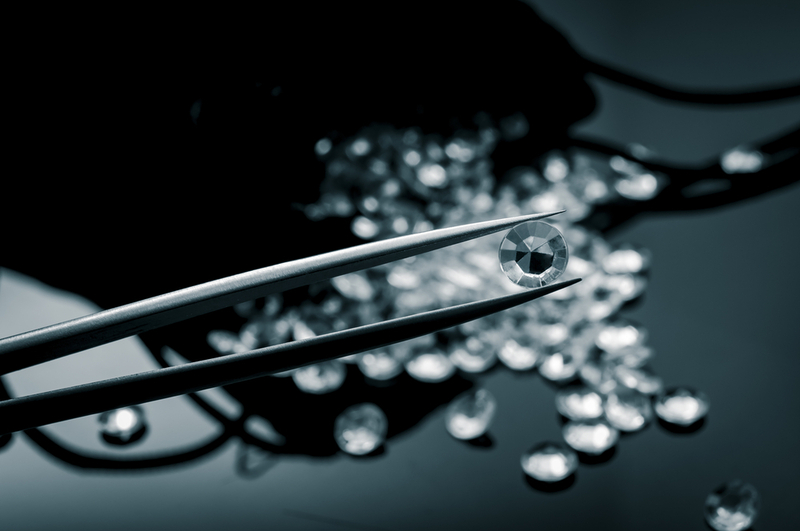 Clarity grades are determined by attaining a balance between the diamond’s appearance face up in the loupe, how it appears under a microscope at 10x magnification, and how it appears to the naked eye. The clarity is also determined by looking at the diamond from four different directions. Other considerations that go into deciding a stone’s clarity are its size as well as the nature, number, location, and relief of any existing inclusions. The clarity grade is determined based off of multiple opinions, so it is not decided by merely one trained examiner. 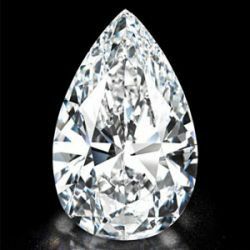 This “perfect diamond” is pear-shaped, which is a combination of a round and marquise shape, possessing a tapered point on one end. This shaped diamond, commonly also referred to as a “tear-shaped” stone, is highly desirable due to its fiery cut that provides a beautiful sparkle. However, pear-shaped stones are prone to two different problems with their cut, both of them noticeable to the naked eye when they’re present. First is the issue of the “bow-tie effect”, which refers to a bow-tie shaped dull or dark spot that appears on the diamond in certain lights or from certain angles. The second commonly found issue when the stone possesses, “uneven shoulders”, where the non-pointed end of the diamond is not symmetrical across the top. As mentioned, these issues are easy to spot, and therefore, simple to avoid in the purchase of a pear-shaped diamond ring. The last characteristic of this “perfect diamond” that contributes to its grade is its unmatched symmetry. Especially important for a pear-shaped diamond, this stone boasts perfect symmetry, adding to its luster. A stone’s symmetry is rated on an “excellent” to “poor” rating scale, where an excellent rating refers to stones that have no symmetry defects visible at a 10x magnification. The lowest rating, “poor”, describes diamonds with symmetrical defects that are visible to the naked eye. “Very good”, “good”, and “fair” are the symmetry ratings in between those two extremes, which is where many diamonds’ symmetry ratings fall. All in all, this stone falls under the rating of being, “Type Illa”, which means that it’s extremely valuable and pure. More specifically, Type Illa diamonds contain very little to no nitrogen atoms in the crystal structure. A mere 2% of diamonds fall into this rating, making them extremely rare. The above listed characteristics of this stone combined with its rare brilliance make it a truly perfect diamond. And while a diamond of this magnitude – and one with this price tag – is not exactly within everyone’s budget, there are still plenty of beautiful, sparkly, and stunning diamonds on the market when you’re looking to make this special purchase. Use the characteristics listed above to find the perfect engagement ring, wedding band, or treasured gift for your special someone to create the perfect moment or celebration.